England set Sri Lanka a target of 188 in the Only Twenty20 played at R Premadasa Stadium in Colombo. 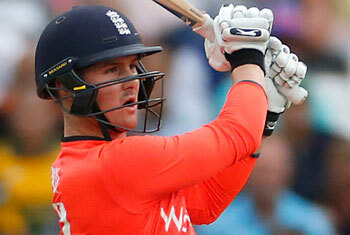 Opening batsman Jason Roy top scored for the visitors with 69 runs which included four fours and six sixers. Lasith Malinga and Amila Aponso picked up two wickets each to help restrict England to 187/8.